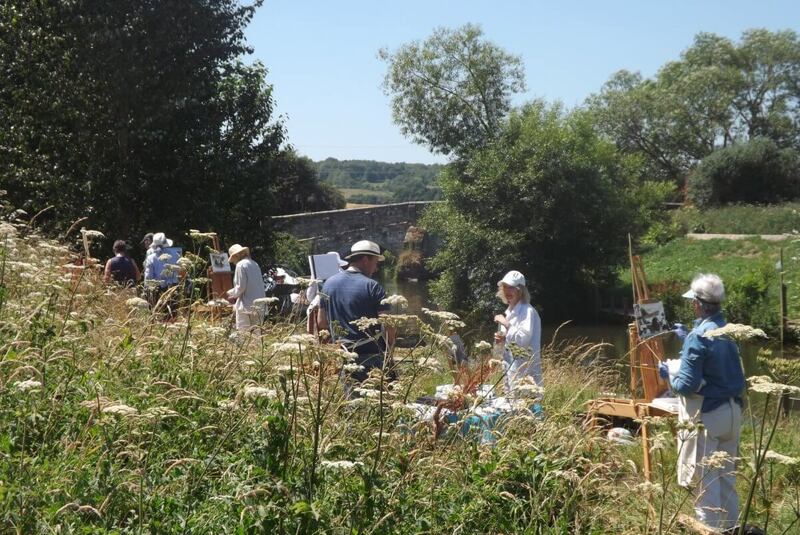 Every now and then, Gardenscape has the pleasure of hosting Fran Russell and her "en plein air" (outdoors painting) workshop on the banks of the Rother. The weather couldn't have been better on Tuesday - and it does remind you what a lovely setting we operate from. In the background you can see the 1706 bridge, connecting not only Kent and Sussex, but also the two parts of our yard. It wasn't exactly designed for HGVs, but carries on standing up - while presenting a very popular subject for our local artists! The grape vine (Vitis vinifera) is one of mankind's oldest friends, having been domesticated at least since the neolithic era and sought out in its wild forms long before then. England famously used to grow a great deal of wine in mediaeval times, but a colder climate during the "little Ice Age" made it generally believed to be beyond the northern limit of commercial wine production. Things changed in the 1950's, when commercial vineyards were again established in the south, and today, England has the fastest-growing vine cultivation area (proportionately) in the world. Of course, we are there to assist. In modern viticulture on these latitudes, vines are considered to benefit from a good application of compost when they are first planted, or the year after, and then every 4 - 5 years after that. The product applied is PAS100 compliant 20mm screened compost and typically, it is applied at 50 tonnes/hectare (or 20 tonnes per acre if you are still working in imperial). The benefits of compost are threefold: weed suppression, moisture retention and soil improvement through the addition of organic matter. However, the compost needs to get to where it provides the most benefit, which is around the vines themselves, so accurate spreading is very important. In olden days, this would mean a worker with a wheelbarrow and a spade - backbreaking and tedious work. Today, the job can be done very efficiently by mechanical means - if you have the right kit for the job. In the photo above, you can see the specialist compost spreader built by our contractor Charlie Moon - it fits very precisely between the vine rows (which are usually planted 2 metres apart - any closer than that and it's back to manual methods). It was designed based on many years' experience and can put down the precise amount of compost desired just where it's needed. The spreader is big enough - taking up to 4 tonnes of compost - to minimise the loading effort, yet small enough to fit into the narrow spaces available. The contact for this type of work, and any other agricultural compost spreading is Peter Traill, on 01797 252298. 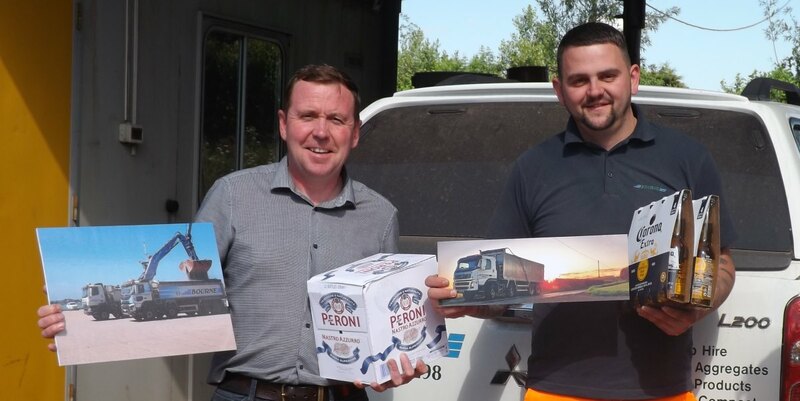 Here are the happy prize-winners Phil (on the left, May) and Lee (April), with their respective entries and prizes, received from our Group Chairman at a small but highly select gathering in the yard this afternoon. Thoroughly well deserved in both cases! This rather impressive facility is part of the Knauf plasterboard factory near Sittingbourne. It has one of the fastest production lines in Europe and was custom-built on a green-field site for Knauf in 1988. At the same location, they also have a plant prodcuing a wide range of gypsum plaster and jointing products. Gypsum is also sold by us for agricultural purposes. It is a good source of sulfur and calcium for plant nutrition and for stimulating root growth. It improves acid soils, sometimes even more so than lime, and also improves soil structure to help water infiltration, as well as drainage. Finally, it helps to keep phosphorus and other nutrients from draining off farm fields. Last week Helen (left, above) was presented with a Tissot watch at a small reception (in the Gardenscape #1 shed) for her 25 years with the John Bourne Group of companies. And the week before, Cathy presented all of us with a super lemon drizzle cake, in celebration of her 30 years with the Group. And, as you can tell if you look carefully above, they are sisters. But you certainly couldn’t tell from the photo that together, they have spent 55 years at The Wharf! Cathy is now our Accounts Administrator and actually controls the most important purse strings in the company, namely those related to wages, salaries and bonuses. However, in her career she has handled most aspects of operations in John Bourne & Co, starting with purchase ledger entries and sheer typing, not to mention controlling the CB radio that was the only means of contacting the drivers back in the days before mobile telephony. (And Telex – if you can remember that, you are showing your age!) She also dealt with haulage tickets and transport routing – not to mention being Peter B’s PA at one stage. Helen’s job title is Sales Assistant and apart from sales at Gardenscape, she also provides backup for other functions within the company. 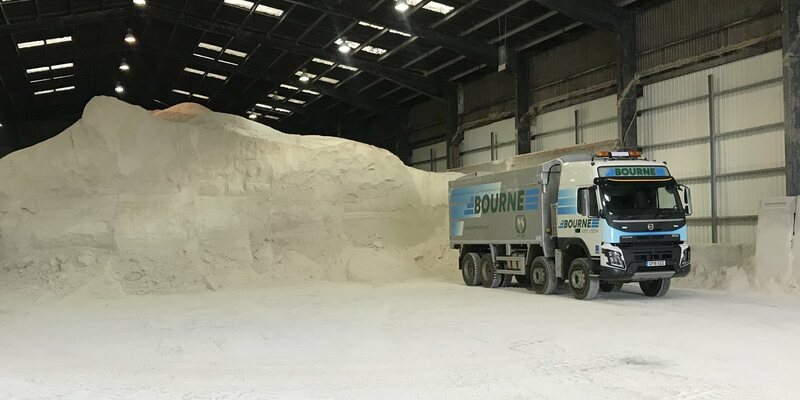 She, too, has seen many aspects of the Group operations, starting as a temporary receptionist, doing various clerical work and providing the logistics function at Bourne Amenity when it became a separate company. 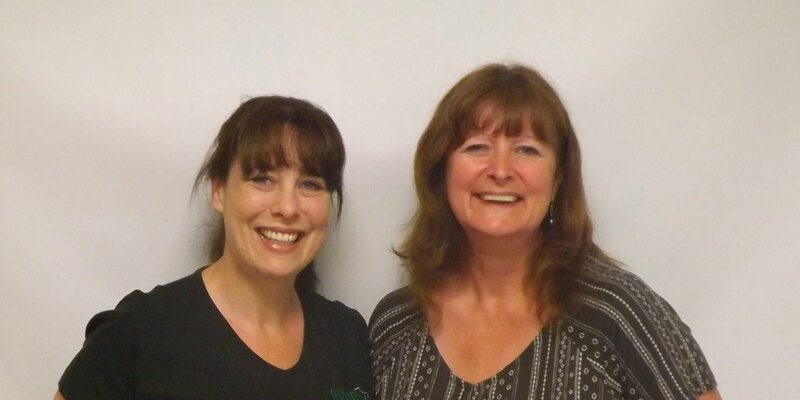 While Cathy started her work career elsewhere, Helen started her first job at Bourne’s – her sister helped her find a temporary receptionist job after returning from a gap year in Australia (a time when most of us would feel the need for a secure income) – and the temporary position rapidly became permanent. In fact, she had even done some work experience at the company, aged 15. Now that’s devotion! The sisters grew up on the family farm in Rolvenden, and both still live locally. They have two brothers, one of whom also has worked for the Group in the past. It is not, then, surprising to find that they both rate the family and community aspects of the business as particularly important. 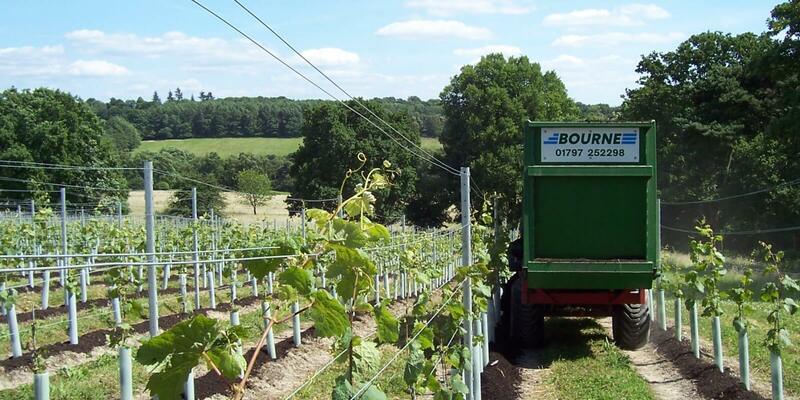 Working at Bourne’s gives a sense of belonging and perhaps also of staying with the farming roots of the family – actual farming on a small farm not being a practical option these days. Now they both have families of their own and, whereas Cathy’s daughter is sufficiently grown up that she also has time for some voluntary work locally, Helen’s children are still young enough to keep her fully occupied when she is not at work. But they both like travelling on holiday – Cathy’s family often to France and Helen’s to the West Country – and they both love Scotland, where their maternal grandmother was born. It is certainly possible to detect the older sister/younger sister personalities, though neither of them are willing to say that the other was in any way difficult to have as a sibling. But maybe they were just on best behaviour for the joint interview! Few personal stories could better illustrate the advantages both for staff and for the company of working in a family environment. There is also no doubt that customers and suppliers can feel the warmth and friendly attitude of these lovely sisters – as do all their colleagues!